“What does it cost this garniture of death? It costs dead joy, that foolish pride may live. EMPERATE and tropical America, from Long Island to Oregon, south to Buenos Ayres, may be considered the home of the Snowy Heron, though it is sometimes seen on the Atlantic coast as far as Nova Scotia. It is supposed to be an occasional summer resident as far north as Long Island, and it is found along the entire gulf coast and the shores of both oceans. 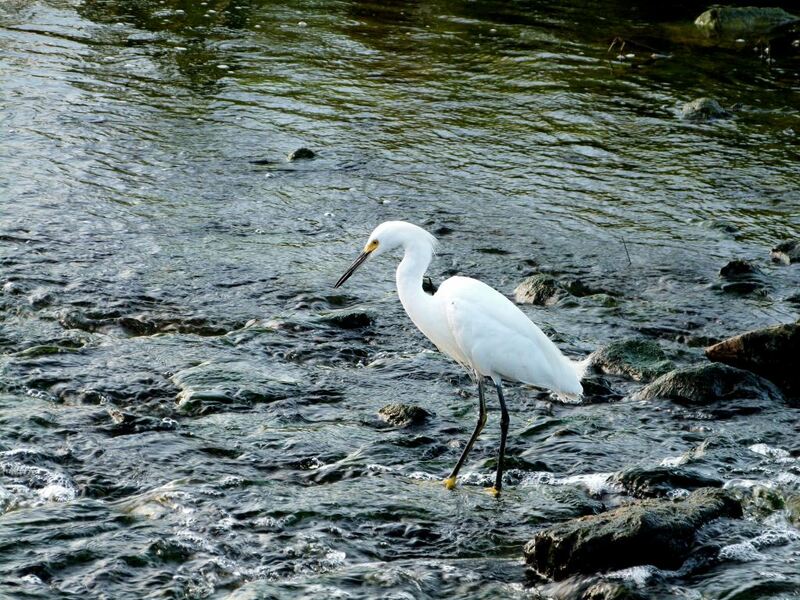 It is called the Little White Egret, and is no doubt the handsomest bird of the tribe. It is pure white, with a crest composed of many long hair-like feathers, a like plume on the lower neck, and the same on the back, which are recurved when perfect. Snowy Herons nest in colonies, preferring willow bushes in the marshes for this purpose. The nest is made in the latter part of April or early June. 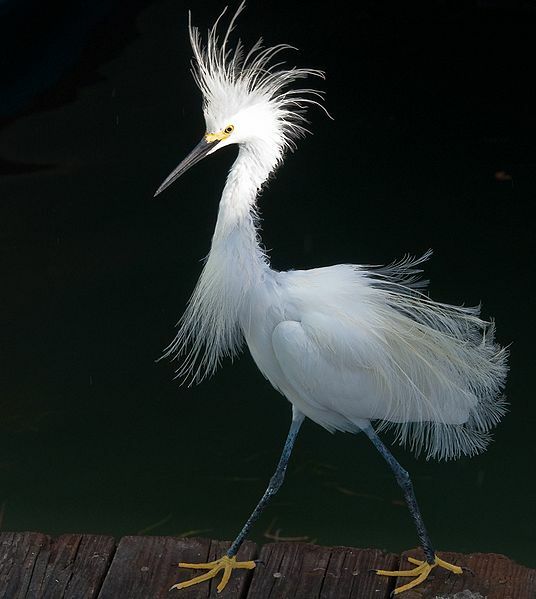 Along the gulf coast of Florida, they nest on the Mangrove Islands, and in the interior in the willow ponds and swamps, in company with the Louisiana and Little Blue Herons. The nest is simply a platform of sticks, and from two to five eggs are laid. Alas, plume hunters have wrought such destruction to these lovely birds that very few are now found in the old nesting places. About 1889, according to Mr. F. M. Woodruff, this bird was almost completely exterminated in Florida, the plume hunters transferring their base of operation to the Texas coast of the Gulf, and the bird is now in a fair way to be utterly destroyed there also. He found them very rare in 1891 at Matagorda Bay, Texas. This particular specimen is a remarkably fine one, from the fact that it has fifty-two plumes, the ordinary number being from thirty to forty. Nothing for some time has been more commonly seen than the delicate airy plumes which stand upright in ladies’ bonnets. These little feathers, says a recent writer, were provided by nature as the nuptial adornment of the White Heron. Many kind-hearted women who would not on any account do a cruel act, are, by following this fashion, causing the continuance of a great cruelty. If ladies who are seemingly so indifferent to the inhumanity practiced by those who provide them with this means of adornment would apply to the Humane Education Committee, Providence, R. I., for information on the subject, they would themselves be aroused to the necessity of doing something towards the protection of our birds. Much is, however, being done by good men and women to this end. The Little Egret moves through the air with a noble and rapid flight. It is curious to see it pass directly overhead. The head, body and legs are held in line, stiff and immovable, and the gently waving wings carry the bird along with a rapidity that seems the effect of magic. An old name of this bird was Hern, or Hernshaw, from which was derived the saying, “He does not know a Hawk from a Hernshaw.” The last word has been corrupted into “handsaw,” rendering the proverb meaningless. Nest—A platform of sticks, in bushes, over water. Eggs—Three to five; pale, dull blue. We have another case where the name and the scientific name has changed over time. The above give how the American Ornithologists’ Union progressed in the re-naming. I thoroughly enjoy watching the Snowys here. I think it is their yellow feet that amuses me so much. I am always trying to get a photo of the feet. They are a medium-sized Heron that is all white. It has the yellow feet attached to its black legs. Their bill is dark and it pointed like most in the Heron families. That Family is the Ardeidae – Herons, Bitterns and also a Bible Bird. They and their kind are listed in the “do not eat” section for the Israelites. Even today, they are too much fun to watch than to eat. As stated above, their plumage was used a lot before that practice was stopped. Here is a photo from Wikipedia of the feathers displayed. 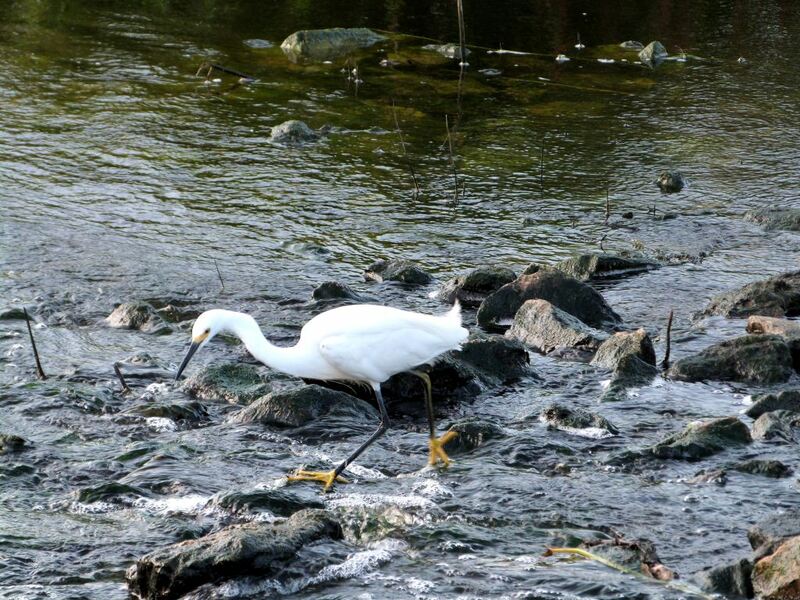 The birds eat fish, crustaceans, insects and small reptiles. They stalk prey in shallow water, often running or shuffling their feet, flushing prey into view, as well “dip-fishing” by flying with their feet just over the water. Snowy Egrets may also stand still and wait to ambush prey, or hunt for insects stirred up by domestic animals in open fields. 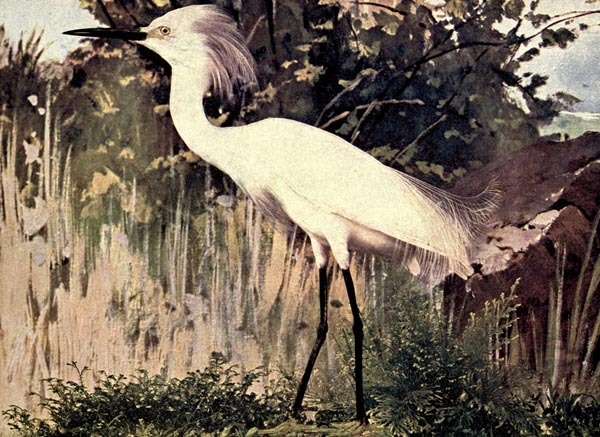 This entry was posted in Birds, Kid's Section and tagged Birds Illustrated by Color Photography, Birdwatching, Christian, From The Past, Heron, Home School, Kids, Nature, Photography, Snowy Egret, Vol 2 #1 July 1897, Youth. Bookmark the permalink.